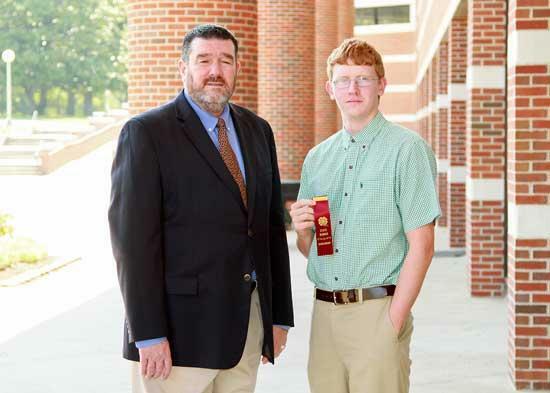 Charles Steelman of Woodbury received the Hamilton-Brown Scholarship at the Tennessee 4-H Roundup held at the University of Tennessee at Martin, July 18-22. Charles received the $500 college scholarship based on his 4-H accomplishments, academic achievements and need. 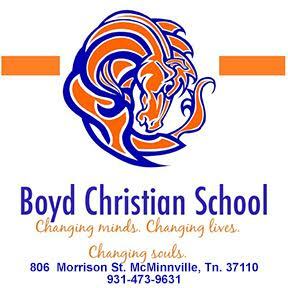 The scholarship is provided by friends and relatives in memory Mary Frances Hamilton and Frank Brown, who were long-time agents, and administrators of UT Extension. Pictured congratulating Charles is Steve Sutton, Director, Tennessee 4-H Youth Development.